This webinar provides an introduction to distributed computing with Python, we will show how to modify a standard Python script to use multiple CPU cores using the concurrent.futures module from the Python standard library and then the dask package. Then we will leverage dask workers running on other machines to distribute a data processing task and monitor its execution through the live dask dashboard. You will understand the difference between threads and processes, how the Global Interpreter Lock works and principles of distributed computing. All material will be available as Jupyter Notebooks. This webinar provides an introduction to massively parallel computing with graphics processing units (GPUs) on the SDSC Comet supercomputer. The use of GPUs is becoming increasingly popular across all scientific domains since GPUs can significantly accelerate time to solution for many computational tasks. In this webinar, participants will learn how to access Comet GPU nodes, how to launch GPU jobs on Comet, and get introduced to GPU programming. The webinar will cover the essential background of GPU chip architectures and the basics of programming GPUs via the use of libraries, OpenACC compiler directives, and the CUDA programming language. The participants will thus acquire the foundation to use and develop GPU aware applications. Download slides for this webinar. In this webinar, we will learn about the file systems that are part of the SDSC's Comet supercomputer. 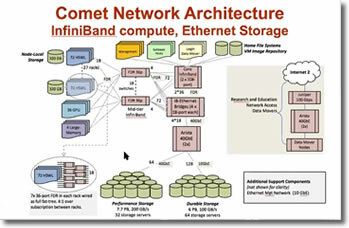 First, we will provide a brief overview of the Comet File System and introduce the various file systems within Comet. We will discuss the pros and cons of using these file systems in terms of I/O performance, storage capacity, shared access, backup and so on. Additionally, we will illustrate the basic usage of the Lustre File System, Comet's high-performance parallel file system. 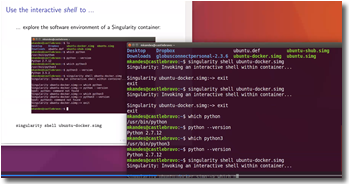 This 2-hour webinar provides an introduction to running Singularity containers on Comet for users currently using Comet and those who want to know more about running Singularity on Comet. SDSC's computational scientist Marty Kandes provides an in-depth review of the important issues pertaining to running Singularity in the Comet high-performance ecosystem and includes several useful container examples for you to explore. This webinar covers the basics of accessing the SDSC Comet supercomputer, managing the user environment, compiling and running jobs on Comet, where to run them, and how to run batch jobs. It is assumed that you have mastered the basics skills of logging onto Comet and running basic Unix commands. The webinar will include access to training material. In this webinar we start by describing how to obtain hardware and system information such as CPU specifications, memory quantity, cache configuration, mounted file systems and their usage, peripheral storage devices and GPU properties. 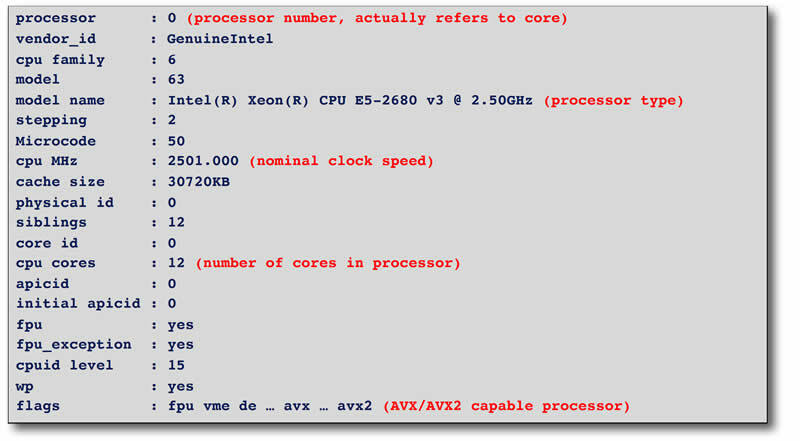 This information is useful for anyone who is interested in how hardware specs influence performance or who needs to report benchmarking data. We then cover the use of top for monitoring systems usage and gprof for basic code profiling. We conclude with a description of the memory hierarchy (registers, cache, memory, external storage) and show how an understanding of cache can be used to write more efficient code. *Authentication issues with the TACC Visualization Portal cut this webinar short. Another webinar is planned for early 2019. This 2-hour webinar provides an introduction to running Singularity containers on Comet for users currently using Comet and those who want to know more about containerization on Comet. Marty Kandes provides an in-depth review of the important issues pertaining to running Singularity in the Comet high-performance environment including live demonstrations. Presented on April 6, 2018 by Paul Rodriguez, Ph.D.
Machine Learning covers a variety of statistical techniques that are useful for data analysis and central to the recent developments in deep learning and AI. This 2-hour webinar will try to organize and introduce the plethora of terms and concepts that comprise machine learning, describe how machine learning can be used on Comet HPC resources using R, and demonstrate with a quick tutorial how a simple deep learning model works using Python. - The main activities of applying machine learning models. This webinar provides a brief introduction and some hands-on instruction for users who are relatively new to SDSC’s Comet supercomputer as well as for those who need a refresher. Join SDSC’s User Support Group Lead, Dr. Mahidhar Tatineni, for an introduction to Comet, including an overview of the underlying architecture, available software, running jobs, file management, and more.